Katherine Tegen Books, 9780062422675, 448pp. From the critically acclaimed author of Allegedly, Tiffany D. Jackson, comes a gripping new novel perfect for fans of E. Lockhart and Gillian Flynn about the mystery of one teenage girl’s disappearance and the traumatic effects of the truth. 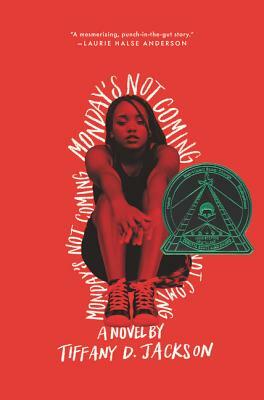 Tiffany D. Jackson is the author of Allegedly, Monday’s Not Coming, and Let Me Hear a Rhyme. A TV professional by day, novelist by night, she received her bachelor of arts in film from Howard University and her master of arts in media studies from the New School. A Brooklyn native, she is a lover of naps, cookie dough, and beaches, currently residing in the borough she loves, most likely multitasking. You can visit her online at www.writeinbk.com.